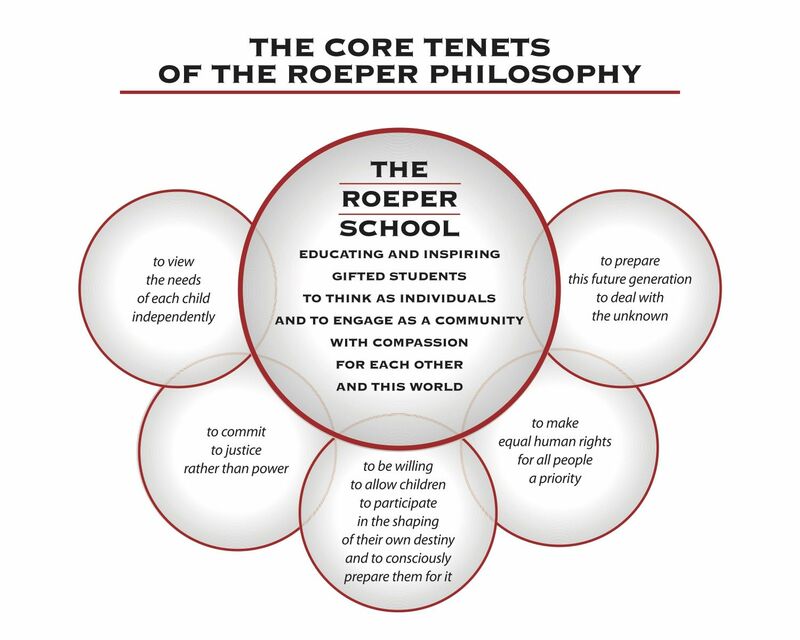 The 1981 version of the Roeper Philosophy was written by George and Annemarie soon after they retired from the school. During their years at the school, they had written many statements at different stages of the school’s development. As they were leaving active management of the school, they wanted to put in one place the ideas that they considered foundational to the school’s principles and practices. It was adopted by the Board of Trustees in 1981. Since then, the community has come together at various times to write new statements of the philosophy. None of these is intended to supersede the 1981 version, but are contemporary re-statements of the ideas at the heart of the school. The most current new statement was adopted by the Board in June 2010.